Coca-Cola plans to operate a "connected but integrated" strategy for Costa coffee following its acquisition of the company that will see it focus away from retail and instead on building the global brand. The acquisition, Coca-Cola's biggest in eight years, points to bold bets the company is willing to take as it seeks alternatives to fizzy drinks, say experts. The takeaway coffee market is said to be worth £6.3billion in the United Kingdom alone, but Costa has suffered from falling high street sales which have seen leading chains and restaurants close. Coca-Cola's chief rival Pepsi announced earlier this month that it would buy Israeli DIY seltzer company SodaStream for $3.2 billion. 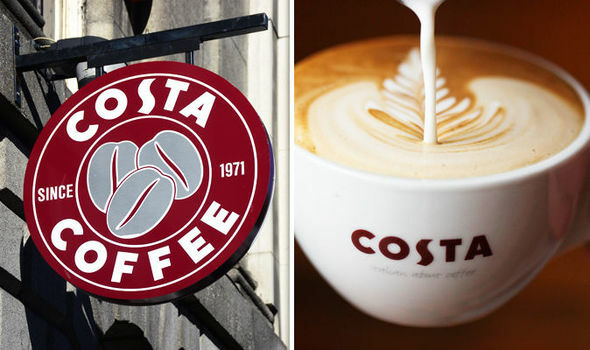 Costa has more United Kingdom stores than Starbucks and has been expanding globally. Coca-Cola's big bet on coffee retail makes the beverage giant an immediate competitor to the likes of Starbucks, particularly in Costa's home market of the U.K. Costa operates almost 4,000 coffee shops throughout the world, and it a year ago unveiled a $47 million production roasting headquarters filled with massive Probat systems. But Coke's previous attempts to add coffee to its portfolio have fizzled out. The proposed deal is expected to close at the end of summer 2019, Coca-Cola said, if it gains regulatory approval in the European Union and China. Any potential deal will depend on the valuation Costa Coffee offers to RJ Corp.
Costa's like-for-like sales in the United Kingdom dropped 2 percent in the company's first quarter as the retail market weakened. Some will be used to pay down debt and to make a contributing to the pension fund. Nestle joined the trend of coffee giants taking aim at smaller niche producers, buying Blue Bottle Coffee and Chameleon Cold Brew. In particular, that means JAB Holdings, owner of Krispy Kreme and Pret a Manger. And in another union of the java and soft-drink worlds, JAB's Keurig Green Mountain Inc. this year bought Dr Pepper Snapple Group for $18.7 billion. Coke has dabbled in coffee before, with an unsuccessful attempt at selling java-flavoured Coca-Cola Blak.